On October 9, the cabinet of Haitian prime minister Evans Paul adopted a decree to reestablish the country’s armed forces. The previous Haitian military, which for decades under the Duvalier dictatorships had served as force of internal repression, was disbanded in 1994 by then-president Jean-Bertrand Aristide. The disbanded Haitian army traced its origins back to the Garde d’Haïti, a force that was organized and trained by the US Marine Corps during its occupation of the country from 1915 to 1934. Its initial role was as an auxiliary to the American occupation forces in suppressing a nationalist insurgency. 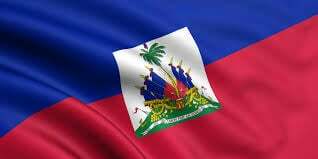 After the withdrawal of US troops, it became the most powerful institution within Haitian society, while carrying out systematic violence against the population with impunity. The October 9 decree is an ominous development. The army will be built up alongside a 15,000-member Haitian National Police, which the government has developed as a substitute for the UN’s MINUSTAH force. The military will also have a role along the border with the Dominican Republic, where tensions have been high because of that country’s deportation of Dominico-Haitians. Haitian president Michel Martelly, who has already been shown in photos reviewing the first military trainees, has been ruling by decree since January 2015. It was then that the country’s parliament stopped meeting, in large part because Martelly had delayed the calling of legislative elections throughout his presidency. Martelly’s hand-picked successor, Jovenel Moïse, finished first in a November 5 presidential election in which even the UN was accused of participating in the widespread fraud. The Departmental Operations and Intervention Brigade (Brigade d’Opération et d’Intervention Départementale, BOID) a unit of the Haitian National Police created last June, has played an especially violent role in recent months. It arrested 27 members of opposition parties in the days following the elections—many just for wearing the t-shirts of their parties—and, since its creation, has killed an estimated 15 people in Cité Soleil, the sprawling slum north of the capital of Port-au-Prince. Prime Minister Paul has cynically said of the November 5 elections that fraud is “a problem of society” that needs to be fixed “in order to avoid its reproduction in future elections.” Meanwhile, Paul has formed an “independent” commission to address the electoral impasse; this commission includes a member of Martelly’s PHTK political formation, Liné Baltazar, who with Moïse has also met with the official Provisional Electoral Council (Conseil Electorale Provisoire, CEP). It is less than 25 years since the army, led by Raoul Cédras and supported by the CIA, overthrew democratically elected President Jean-Bertrand Aristide and instituted a regime that murdered more than 3,000 people. Cédras, who headed the military government from 1991 to 1994, had spied for the CIA before coming to power. He currently lives in Panama. Even the US Library of Congress wrote in its Haiti and Dominican Republic country studies book that under the rule of Cédras, the “armed forces became…a violent business enterprise with numerous criminal features” and had its finger in the state-owned telephone and electric companies, the ports, and the importation of cement and flour. After the fall of Jean-Claude “Baby Doc” Duvalier in February 1986, General Henri Namphy headed an interim administration called the National Council of Government. Under his leadership, on November 29, 1987, Haitian soldiers murdered 34 people and injured 75 others outside a voting center. It was also reported that soldiers had stabbed or beaten to death 46 civilians in the Fort Dimanche prison. Between the downfall of Jean-Claude Duvalier in 1986 and the first election of Aristide, General Prosper Avril served as both president and commander-in-chief of the Armed Forces of Haiti from September 1988 to March 1990. A former member of Francois Duvalier’s Presidential Guard, Avril was responsible during his presidency for the imprisonment, torture, and murder of political opponents, labor leaders, and intellectuals. When he was ousted in 1990, the US military flew Avril to Miami. Article 41 of the 2015 decree states that the special operations command should “stay informed about all cases of aggression or attack from both the interior and exterior, to analyze them in order to evaluate the risks of…diplomatic incidents.” Previous Haitian armies were used mainly for domestic repression, but the Haitian bourgeoisie is also worried about border tensions affecting the import and export of goods from the Dominican Republic. Martelly and his ministers also needed to ensure the new military’s ability to cooperate with the US and other imperialist powers. Article 65 of the decree gives the Defense Ministry 19 responsibilities, including “participating in keeping the peace throughout the territory of the Republic in cases of force majeure,” “participating in the elaboration and coordination of plans in case of war, civil troubles, or natural catastrophes,” and “collecting and managing all information relative to national defense.” Force majeure is a legal term referring to both civil unrest and natural events like hurricanes. The recommissioning of the army will start with one battalion of soldiers, some of whom have already been trained in Ecuador.